A former employee files an EEOC charge. The EEOC requests a position statement and the employer provides it. Can the employee later use that position statement to support a claim for defamation? Probably not. In a recent case, a federal court in Louisiana found that the employee had failed to show that a position statement could be considered “published” and so could not support a defamation claim. Javery v. Lockheed Martin Corp., Case No. 2:14-cv-02644 (E.D. La. January 29, 2018). Mark Javery claimed that his former employer Lockheed Martin discriminated against him because of his race when he was fired. According to Lockheed, Javery was terminated because he was dishonest during an investigation. Along with his Title VII claims, Javery ended up bringing a defamation claim against Lockheed. One of the communications which Javery claimed was defamatory was the positon statement submitted by Lockheed’s general counsel to the EEOC in response to the EEOC charge filed by Javery. In this letter, Lockheed explained the facts supporting the termination. The court ended up agreeing with Lockheed that this communication could not support a claim of defamation. In reaching this conclusion, the court pointed out that the position statement contained a footnote that said that Lockheed considered the position statement to be confidential and highly sensitive and further, that there was no evidence that the letter was “published” to anyone other than staff at the EEOC. As the court explained, in order to have a claim of defamation in Louisiana, the requirement of “publication” is only satisfied if the “someone other” to whom a statement is made is considered a third party. Here, that requirement was not satisfied and so the court awarded summary judgment to the employer. (The court also took the position that Lockheed’s assertion of privilege required a factual conclusion as to whether the statements were made in good faith and so not appropriate for summary judgment). The court also rejected Javery’s claim that Lockheed’s statement to the state in connection with Javery’s claim for unemployment benefits that Javery was fired for misconduct was defamation per se. 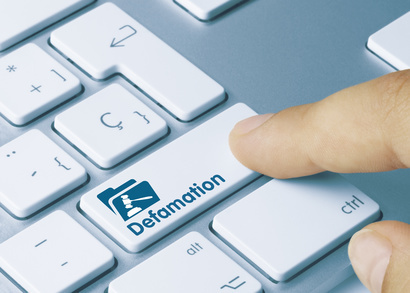 Employers are often very concerned about the potential for defamation actions based on what they say about an employee’s termination—and with good reason. Employers are well advised to be cautious when providing this type of information to third parties outside the organization. As this case illustrates, there are some limits, but employers would be best served by consulting with legal counsel to insure they know just what those limits are.